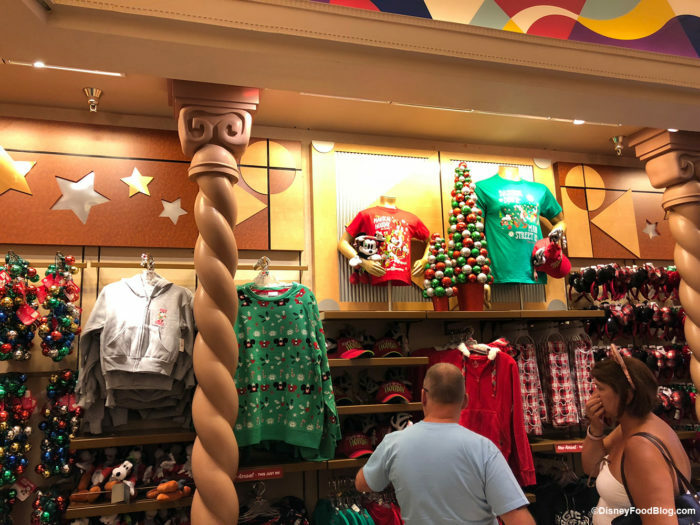 We are seeing more holiday merchandise creep into the parks — especially after the World of Disney holiday merch preview! 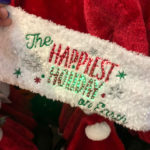 With Halloween a few days away, it’s time to start our holiday shopping lists and figure out who has been good and bad this year. One thing is for sure, we’re pretty much buying one of everything! Some of this merch was in Hollywood Studios last week, but it was mostly packaged sweets then. 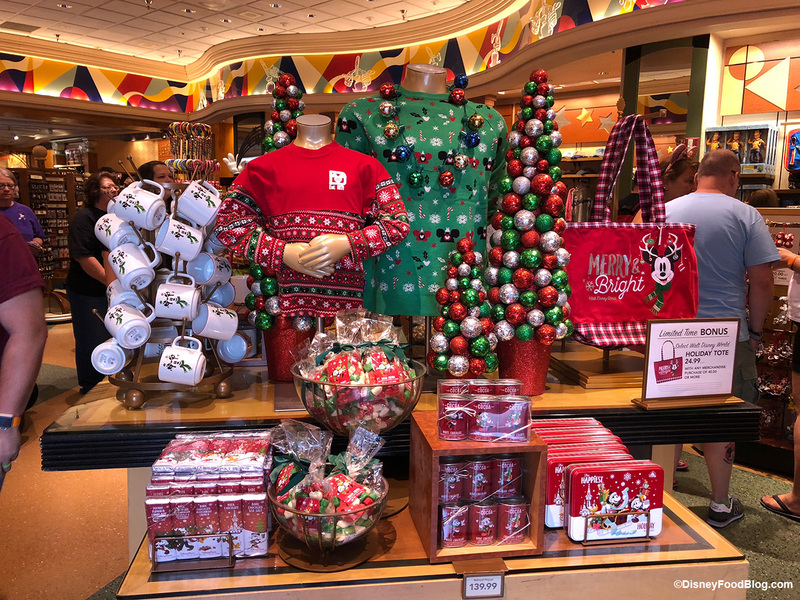 Now there’s all sorts of clothes, accessories, treats, and mugs! Going to an ugly sweater party this year? Disney has you covered with new ugly Christmas sweaters. 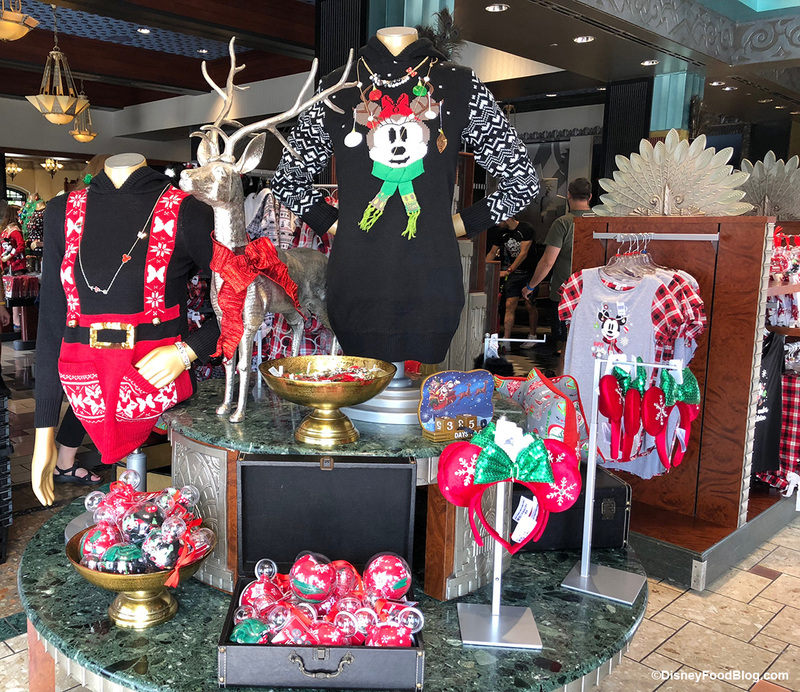 Choose from green or black sweaters with ornaments and candy canes, or sweaters with a festive Minnie or Santa-like suspenders! 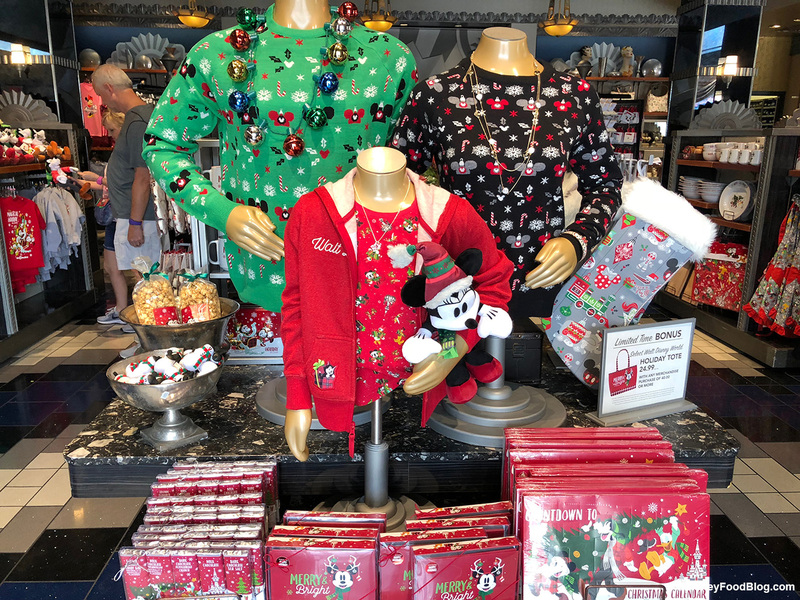 If you’re looking for Christmas Minnie ears, hats, scarves, or even a light-up jingle bell necklace Hollywood Studios is the place to find it all! Winners of the cutest couple ever right here! 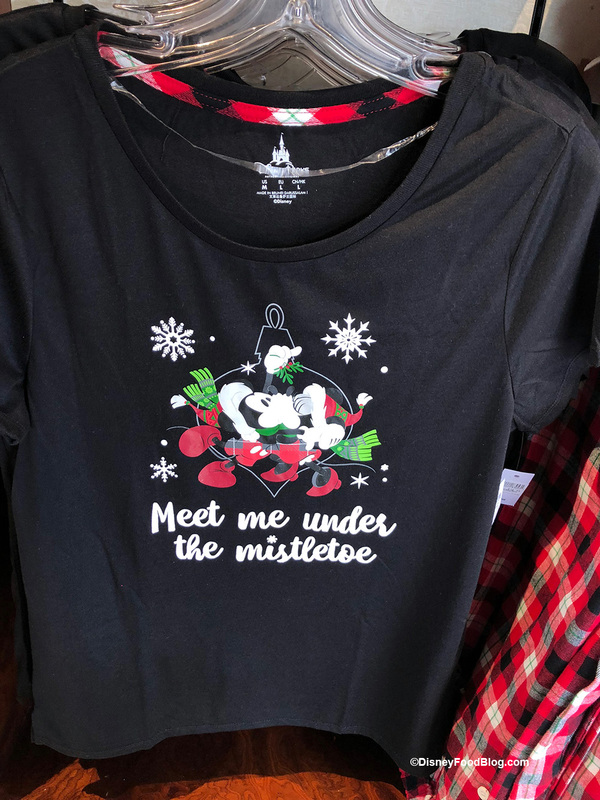 This shirt has matching plaid pants for the perfect Christmas pajamas. 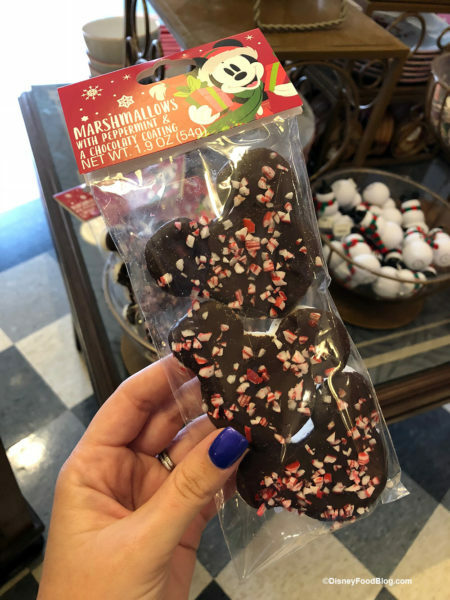 For chilly holiday nights pick up this cocoa and peppermint-chocolate covered marshmallows. 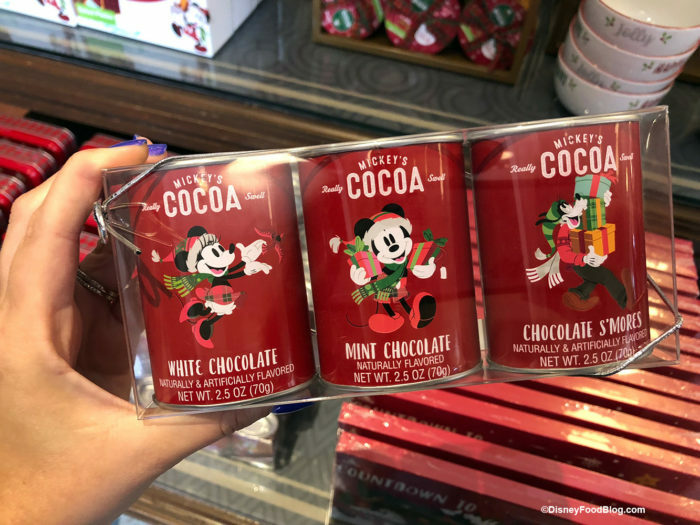 All you need is a fireplace for this cozy treat! 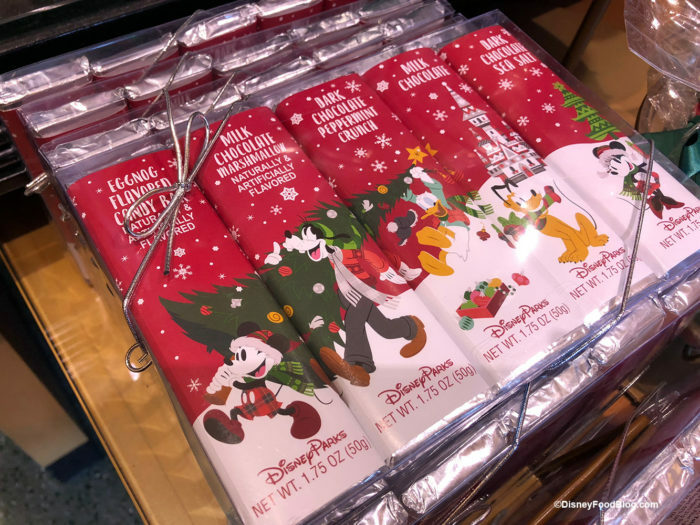 OK, which chocolate bar will you save for yourself? We’re saving the Eggnog and Peppermint ones! 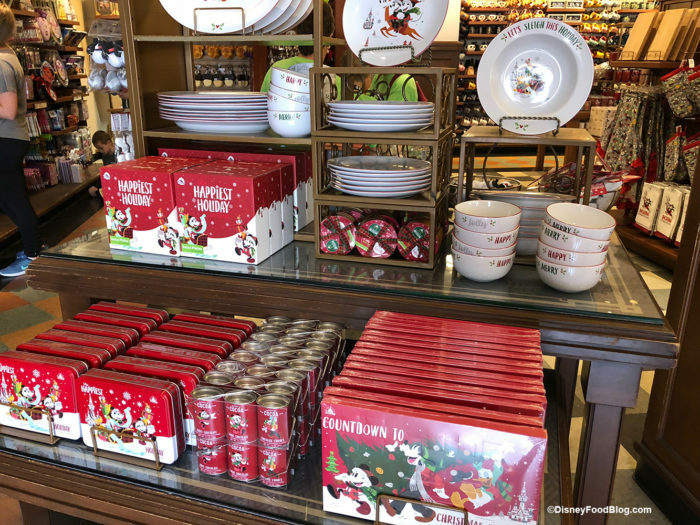 You’ll find all kinds of plates, bowls, mugs, and coasters around the park as well as even more sweet treats, including a chocolate-filled Countdown to Christmas calendar. We’ll close this post with a festive looking Chip and Dale! 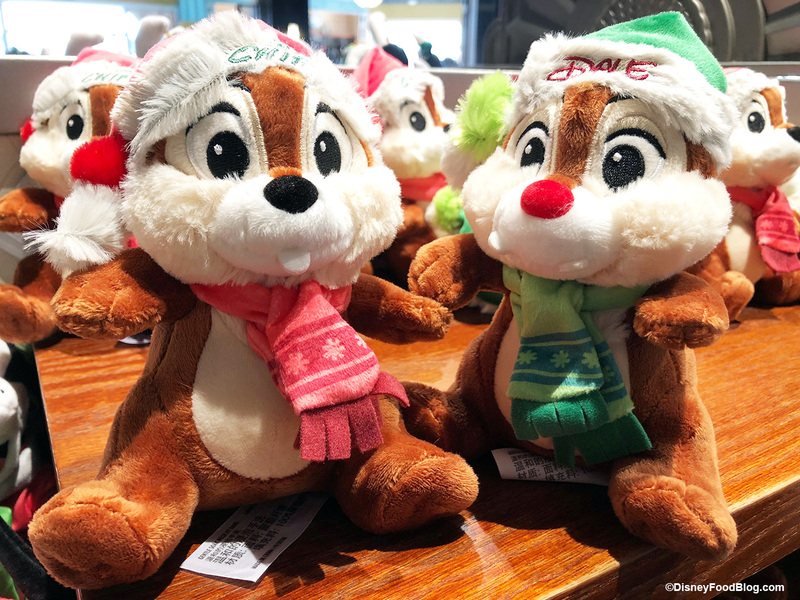 How cute are these two? 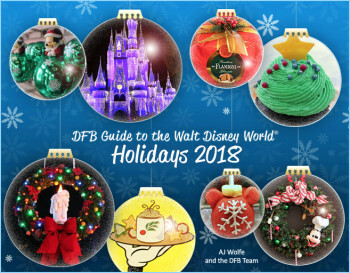 Check out our NEW 25 Must Do Holiday Activities in Disney World! 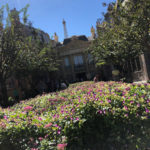 When you’re done – check out all of our Videos on You Tube! The DFB Guide to the Walt Disney World® Holidays 2018 is a one-of-a-kind resource that will help you get the most out of your holiday vacation at Walt Disney World. 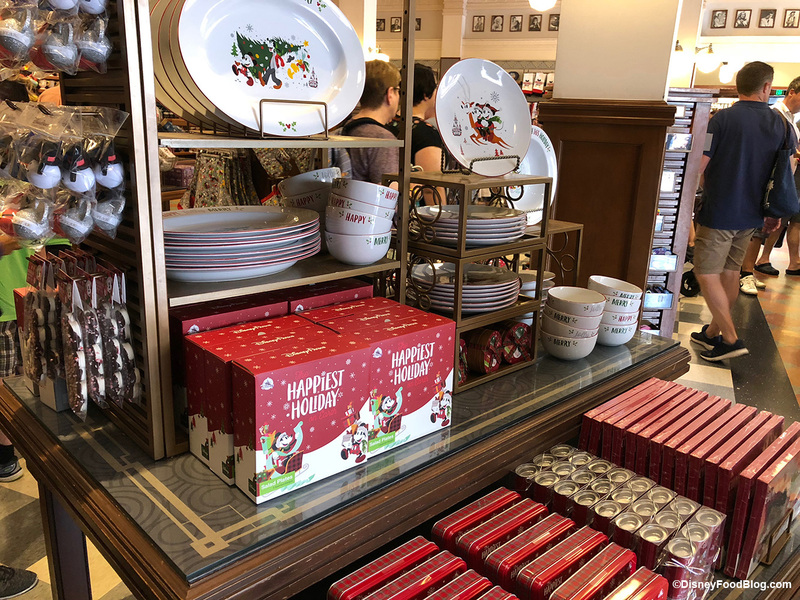 Holiday Merchandise is Showing Up in Epcot! 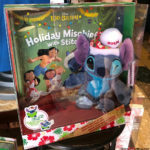 Is Stitch-on-the-Shelf Disney’s Answer to Elf on a Shelf!? So exciting !! 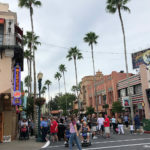 I just got home from WDW two weeks ago for Halloween Party. 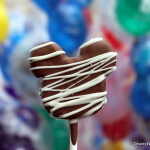 Will be leaving on Dec.7-13 with my hubby and then going back on Dec 21-26 with my son and his family !!!! Absolutely cannot wait !!!! Rozr, that sounds like a fabulous holiday season!